My name is Brandi and I am addicted to reading magazines. I’ve always been a reader, but lately I haven’t had time for books, so my vice is blogs and magazines. While I fully support printed media, I must say I recently had a realization – reading magazines and blogs online is so much easier. You can digitally save recipes, photos and ideas rather than ripping out pages and saving ideas in notebooks. Not only is it environmentally-friendly, it’s a huge space saver. With companies cutting back on print advertising, more magazine editors are losing their jobs and magazines are cutting space. I know this isn’t new news, but what is new is what these editors are up to. Potentially the future of media, these former magazine editors are starting online magazines. Here are a few of my favorite magazines. You’ll notice a few things: there are more pages, some link directly to sites where you can buy the product featured and there are cool ads! I encourage you to try it out! Read some online magazines and see what you think! Lonny: From some of the editors of the best-short-lived-magazine ever, Domino, comes Lonny. Filled with adorable everyday items and home décor, this online book is filled with drool-worthy ideas and pictures. Lonny also has a delicious blog. Rue: Created by two fabulous bloggers, Anne Sage and Crystal Gentilello, this online magazine has some of the most amazing, talented contributors and most of all photographers. Check out the shoot in the first issue with the crafters behind luxury headband designers, band.do. 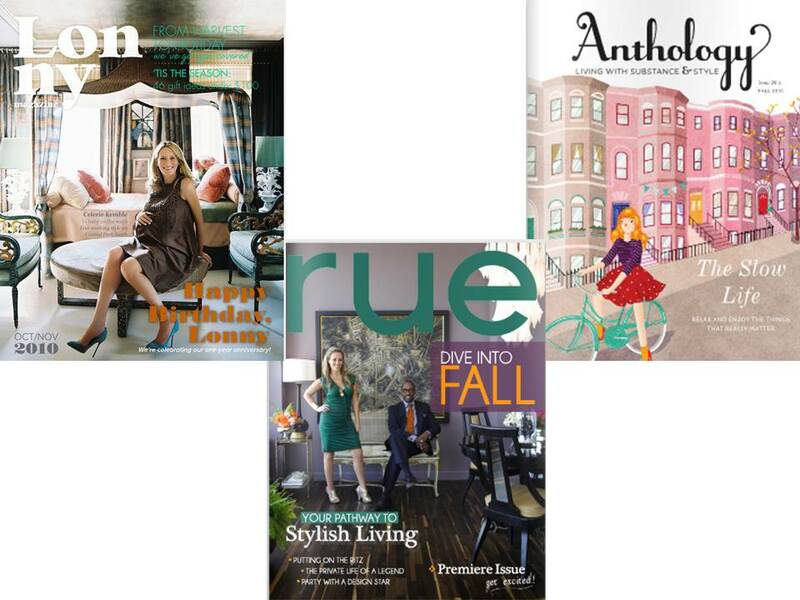 Anthology: A quarterly magazine focusing on home décor, travel, design, entertaining and culture – YES please! How appealing is the cover illustration?! Too cute!